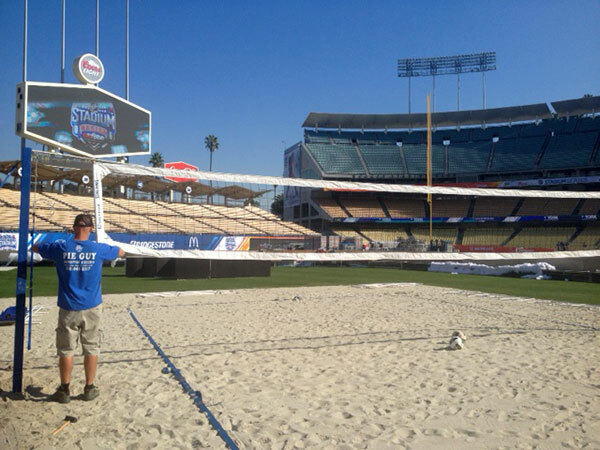 The NBVO has created and built beach volleyball events for some of the biggest brands in the world including the Los Angeles Dodgers, Corona, NHL, Fox Studios and more. If you have a need for a beach volleyball court or event, please email us at info@nbvo.net. Whether it is actual beach volleyball players, a court construction project, insurance or more, let us guide you for any of your event or filming needs.